This week, Vice published an essay from Jay Stephens titled, “I'm a Young Black Woman and I Support Trump.” A month prior, Time published a piece penned by C.J. Pearson named, “I’m a Young Black Man and I Support Donald Trump.” This is the part where you’re supposed to pretend to be shocked that there are black Republicans. OK, here goes: Omigod, really, though? Like, Uncle Phil from The Fresh Prince of Bel-Air, but for real? 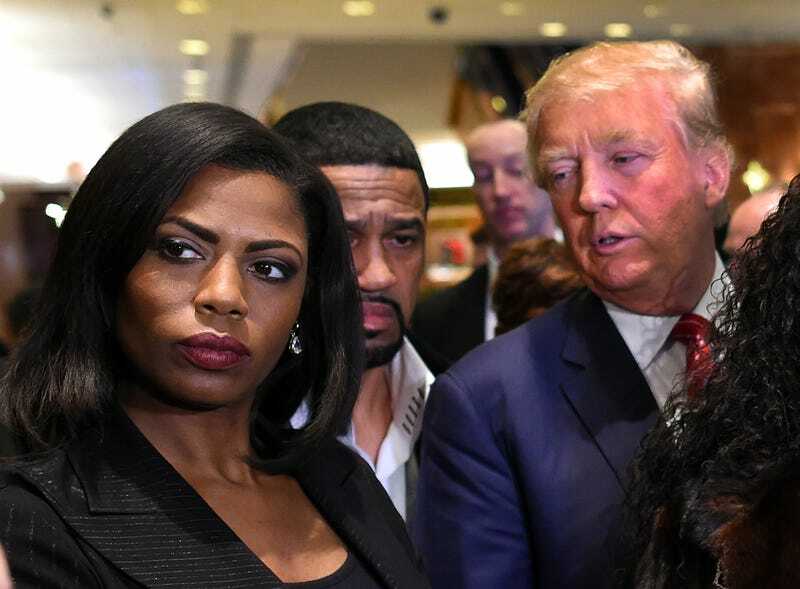 As fate would have it, on Wednesday, Rolling Stone published, “Meet the Black Women Defending Trump's Record on Race,” a profile of Trump supporters Diamond and Silk—aka those women who look like Nisi and Mickey from B.A.P.S in their older, apparently conservative-leaning years. In theory, it should be a good thing that there are black people visibly supporting politicians of both parties. However, when the Republican nominee for president is more or less the big, loud baby of Nixon’s Southern strategy and David Duke-styled white supremacist folklore, one can’t help dismissing these people as the delusional, unfortunate attention whores that they are. Bless her heart. For she believes she is saying something profound here. I’ll give her an A—not for effort, but asininity. From Trump’s history with housing discrimination to his antics surrounding the Central Park Five, along with the long list of terrible things he's said about black people, you’re a fool if you think black people are seeing anything other than what Trump has given us. Even now, as Trump talks about black life in America to predominantly white audiences, he describes us as if we’re Celie and he’s Mister, putting us in our place. As for the need to focus on economic vitality and not police brutality, there are plenty of well-off black people who can attest to the burdens of racial discrimination and how entrees into higher-tax brackets are not a ticket out of that discrimination. Pearson, the national chairman for Teens for Trump, more or less agrees with Trump’s point that we have nothing to lose by voting for him. A mere glance at his proposals (as generic as they are) will prove otherwise. I hope with age comes better reading material for that kid. For the folks mentioned above, this is all very much shtick. The only reason any of these black Trump supporters are getting this much attention is Trump’s low support among black voters, which has gone from abysmally low to a more standard terrible for a Republican presidential contender. There are some sincere black Republicans out there who genuinely believe in conservative principles, and you know, if you can look past the GOP’s half-century of making out with racism to secure power, that’s on you. Even so, most of these pro-Trump black folks are being contrarian for the sake of a come-up. Seeking attention in this way doesn’t make you interesting or thoughtful or remotely useful. You’re nobody’s special snowflake for going up for the orange man. You’re just a troll feeding into the media’s insatiable need for content at the expense of your better senses and your own community by lending yourself to the coattails of a bigot. Sad!